RealNex is a commercial real estate (CRE) software designed for medium to large-scale businesses. It features capabilities for CRM, property prospecting, analytics, marketing, and workflow management among others. In this article, we also cover RealNex pricing. Ready to get started with RealNex? Visit their website. As of the date this article was written (12/17/18), there are no up-to-date RealNex reviews online. If you are a past or current RealNex customer, leave a review to help other business owners who are deciding whether or not to use the software. 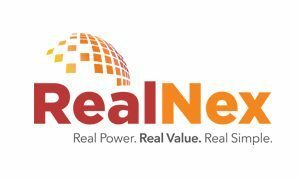 RealNex offers two pricing plans — RealNex Suite (starts at $99 per month), RealNex Suite Unlimited (starts at $139 per month). Both plans have three different versions: Standard, Professional, and Deluxe. The main differences between the plans are the number of users and the number of contacts you can collect. Ready to get started with RealNex? Visit their website. How can I try RealNex? You can schedule an hour-long RealNex demo through their website. Check its demo page for the available dates and times. Can I use RealNex on my mobile device? Yes, you can. CORE Mobile is one of RealNex’s key features, allowing users to launch transaction management activities, listing searches, and deal rooms. Not sure if RealNex is the right fit for you? Read our reviews of all top real estate software providers or check out one of these three RealNex competitors. 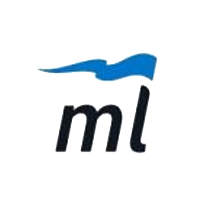 They have a desktop application which is useful for those not interested in having browsers open to their CRM. A LOT! I was a customer for years and never got any sort of comfort with the software. If you are stuck in 1998 this is perfect for you. However, if you want to have a database that seamlessly syncs with your desktop and the cloud then I would look elsewhere. I would have issues at least every month with the system. If you have multiple users on the system and your computer is the host of the database your computer must always be running for them to access it. You also have to make sure when you restart your computer that you reopen the “live sync” and the server settings for Realnex on your computer. Don’t worry after only 3-4 calls into customer service you may start to remember how to do it on your own. Live sync isn’t really live because it bugs out all the time and you have to manually sync to the cloud (so much for “live”). The database has a TON of bells and whistles, which may seem great but in theory you will rarely if ever use. The Realconnex is great in theory until you realize anyone from across the country can send you emails about listings, so I hope you are ready to receive an email about that small retail listing in a market you have never heard of before! That the value is just not there. The database in theory sounds great but there are way too many bugs with it. It was probably a good thing 20 years ago when they copied Microsoft Access and made it into a Commercial CRE. I literally bought another CRM with months left on my current membership because the system is so bad. That they provide terrible customer service, their product is 10 years behind, and their way of catching up is just mimicking what others are doing.